In a letter addressed to His Holiness, Tawadros II, Pope of Alexandria and Patriarch of All Africa of the Coptic Orthodox Church of Alexandria, dated Thursday, December 15, 2016, His Beatitude, Metropolitan Tikhon expressed “the deep sorrow and shared grief of the Bishops, the clergy, the monastics and the faithful of the Orthodox Church in America” in response to the deadly bomb blast at Cairo’s Saint Peter Church, adjacent to the city’s Coptic Cathedral of Saint Mark, on Sunday, December 11. As of Monday, at least 25 persons had been reported to have been killed in the blast, with at least 49 others known to have been injured. Media reports indicate that most of the victims were women and children. “Christ is in our midst! It is with sorrow and yet with hope that I extend to Your Holiness the above traditional words of greeting in which Christians express their faith in the risen and ascended Lord who nevertheless remains among us, even in our darkest moments,” Metropolitan Tikhon began. “The world has once more witnessed such a dark moment in the brutal and senseless murder of the faithful of Saint Peter’s Coptic Orthodox Church in Cairo this week. These cruel and inhuman acts, which have been perpetrated by militant extremists upon the Coptic Orthodox Church, are an affront against all of humanity. “I would like to express the deep sorrow and shared grief of the Bishops, the clergy, the monastics and the faithful of the Orthodox Church in America to the families and friends of those whose lives were brutally cut down in this most recent attack,” Metropolitan Tikhon wrote. “This sorrow and grief is felt in the hearts of all Christians, and indeed, should resonate with all who would consider themselves human beings. “This act is made more tragic in that it has taken place during this season in which the Christian world prepares for the Nativity in the flesh of our Lord, God and Savior Jesus Christ, who became incarnate to heal this broken world and to raise up fallen humanity,” Metropolitan Tikhon continued. “Even the natural world proclaims this great mystery: “Make ready, O cave, for the Ewe Lamb comes, bearing Christ in her womb. And do thou, O manger, accept Him who by His word has loosed us dwellers on earth from acts that are against reason. 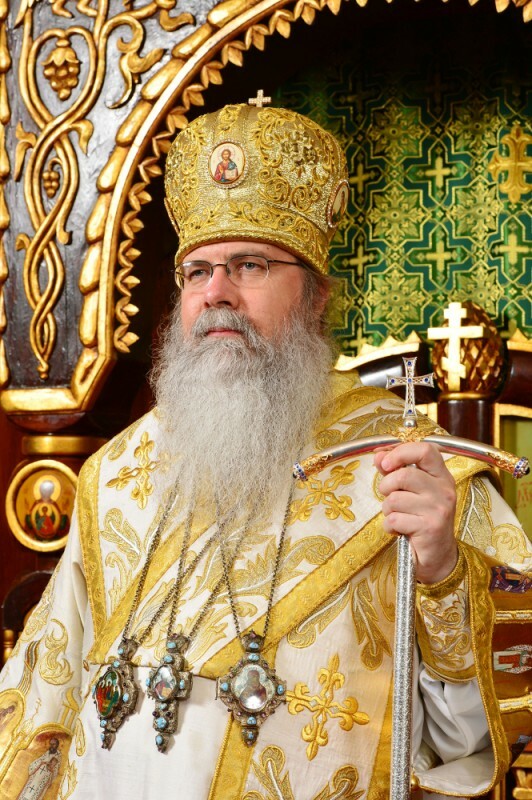 A PDF version of Metropolitan Tikhon’s letter may be downloaded for distribution. In related news, Archpriest John Jillions, OCA Chancellor, represented Metropolitan Tikhon at a prayer service at Archangel Michael and Saint Mena Coptic Orthodox Church, Staten Island, NY, on Thursday evening, December 15, honoring those who lost their lives in the bombing. During the service, Father John read from Metropolitan Tikhon’s letter to Pope Tawadros.